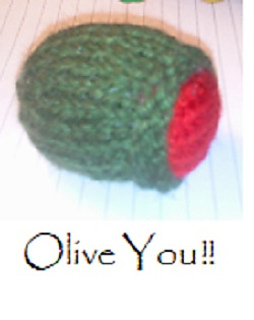 Use this pattern to make a cute little olive ideal for Valentine’s Day or just because you want to tell some one how you feel. OLIVE YOU!!! says it all really. Vary finished item by using different thicknesses of yarn and different size needles.